I wanted to share a St. Paddy's freebie that I made last year, but recently updated. But first, I have a story to share. I'm on Spring Break this week, and I spent the beginning of the week searching for Wilton's Color Mist in gold. It was sold out at every Joann's and Michaels I went to, and I couldn't find it anywhere online! 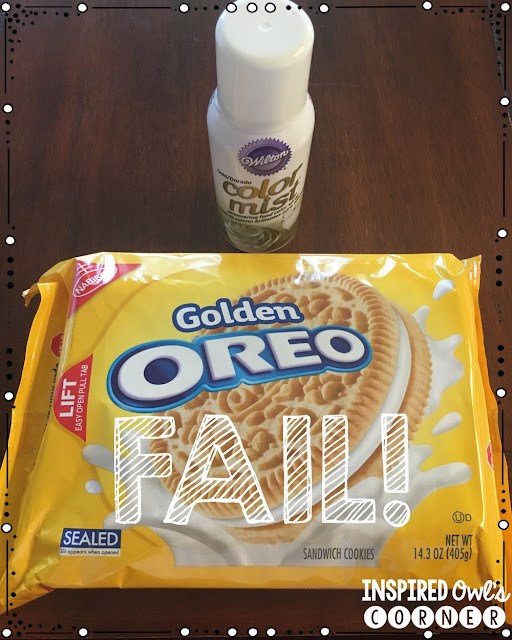 I really wanted to make some of the gold Oreo's for my kiddos for St. Paddy's Day that I saw floating around on Pinterest. (Our class Leprechaun always leaves something!) I finally scored three cans that were hidden in a box on the top shelf at Joann's! So here below is my Plan B. Instead of our Leprechaun leaving us golden cookies, we will get a bowl Skittles, Rolos, and pencils. We are going to "Leprechaun" our classroom neighbors with the extra candy in the bowl. 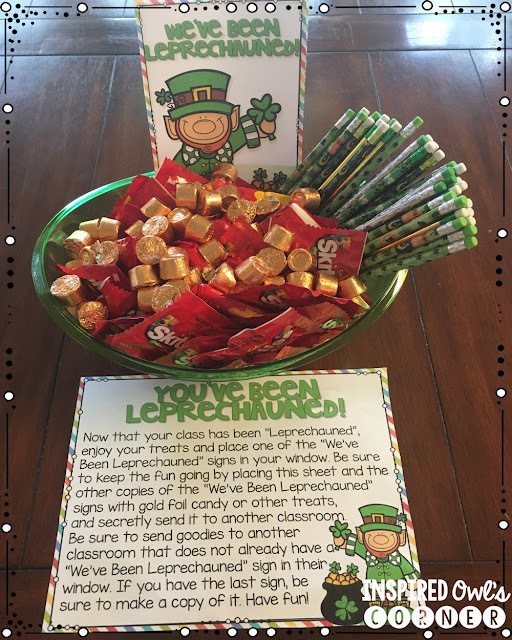 Click on the picture below if you would like to "Leprechaun" your class or school! 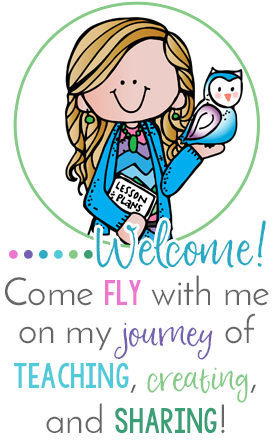 Included are directions and printables in color and blackline. How do you celebrate St. Paddy's Day in your classroom? We will check our Leprechaun traps and see if we caught any of those sneaky guys. And they always leave tiny green footprints around the classroom. And what about these adorable Leprechaun hats? We have to play a few of these St. Paddy's Minute to Win It games for sure! They loved the Valentine's games we played. My friend Lisa from PAWSitively Teaching has more great ideas for St. Paddy's Day here! We also have some great St. Paddy's and Spring ideas in our Pick 3 Linky here. I especially love sharing special days with the kids and helping to create the magic! These are the days they will remember and carry with them!